2017 was a year ruled by politics. Every single fact and issue has become political. This year’s news was monopolized by people on both sides of a widening and divisive gap covering their ears and shouting about how they’re right and good – and how the other side is wrong and evil. Although there is nothing wrong with getting involved in politics, obsessing about social constructs can lead one to ignore universal truths. The Vigilant Citizen was never about politics. Its scope goes way beyond trying to have a politician elected. It is about the unseen impact of culture and symbolism on the human psyche and realizing that our current environment is toxic and detrimental to the mind and soul. Since 2008, I’ve been highlighting the many ways popular culture is toxic and how it constantly caters to our darkest impulses. In 2018, we are seeing consequences of such a culture: A generation excessively prone to anxiety, depression, and suicide. People are so keen on numbing themselves from the world that they are dying by the tens of thousands (in the US alone) of opioid abuse – drugs created by pharmaceutical companies to numb pain. As celebrities sing about “popping pills”, people are numbing themselves to death. The opioid crisis is symbolic in itself, in a dark and troubling way. It is symptomatic of a palpable mal-de-vivre, a profound malaise of the soul. Several factors are causing this climate and our constant exposure to media and its distorted messages is a big part of the equation. As we’ve seen this year, the messages keep reaching new lows of depravity while attempting to reach children as young as possible. This past June, I published an article titled “Something is Terribly Wrong With Many “Kids” Videos on YouTube” which exposed the disturbing content found in “children videos” on YouTube. The video platform has been flooded with thousands of videos aimed at toddlers filled with content that is either shocking, terrifying, sexual or all-out traumatizing. Even worse, some videos are targeted by child predators. Dubbed “Elsagate” by some online communities (because they often feature popular children’s characters such as Elsa), these videos garner billions of views and expose babies and toddlers to a steady regiment disturbing media. Fortunately, some good has come from our collective vigilance. In response to the outrage, YouTube “terminated more than 270 accounts and removed over 150,000 videos” from their platform. YouTube also “removed ads from nearly 2 million videos and over 50,000 channels masquerading as family-friendly content” and “turned off comments on over 625,000 videos targeted by child predators”. While this might be a step in the right direction, the same underbelly is still bubbling not so far below the surface, constantly churning out videos from stars and idols promoting self-destruction. This year alone, we’ve seen Katy Perry being eaten by elite cannibals, Selena Gomez torturing herself and calling it a fetish, and Lil Uzi Vert spinning around in a bloody, pill-induced Satanic haze. The symbolism that is pointed out on The Vigilant Citizen is the outward, easily perceptible manifestation of a dark undercurrent, an underground philosophy that guides the actions of those in power. Understanding this mindset – as foul and disturbing as it can be – allows one to navigate the world with eyes truly open. There is a process in motion and every year it is more visible. Indeed, there is a conscious and deliberate effort to distance the masses from what is true and authentic in order to move them into an artificially created environment, custom-made to stifle the human spirit. The further away we are from truth, health, balance, and harmony, the easier we are to control. For this reason, it is essential, more than ever, to stay grounded and connected to what life is truly about. We must reconnect with Life with a capital L. What is Life with a capital L might you ask? Well, like you, I am still finding out. However, I do know that, since the dawn of time, it has been represented by a simple yet powerful symbol: A tree. Picture a great big tree, with its massive roots firmly gripping the soil that is full of nutrients and its tall branches reaching for the rays of the sun. 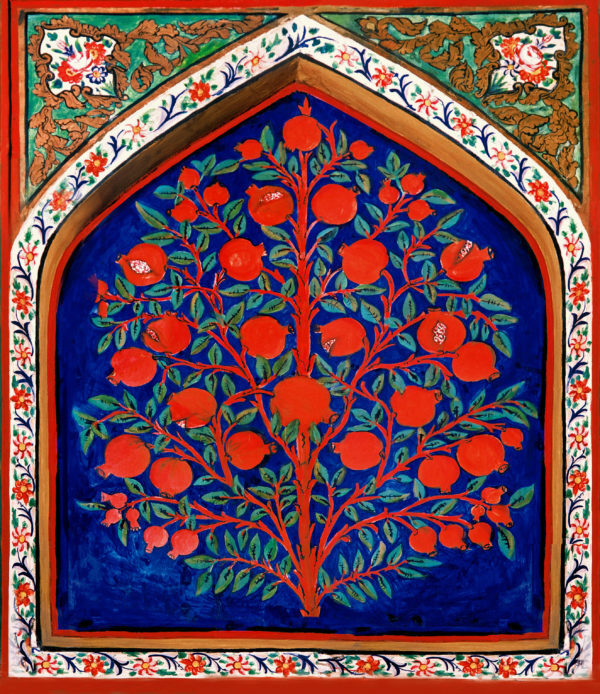 Across all ages and across all cultures, the symbol of the tree represents Life … with a capital L.
The Tree of Life can be found in the canons of countless religions and mythologies. It is an age-old archetype that symbolizes the connection between Earth and the heavens. It is found in Christianity, Judaism, Islam, Hinduism, and Buddhism. The tree of life is also part of Egyptian, Persian, Chinese, Germanic, Celtic, Aztek, and Iroquois mythologies. In nearly every case, the tree is associated with knowledge of life and a described as a key to immortality. 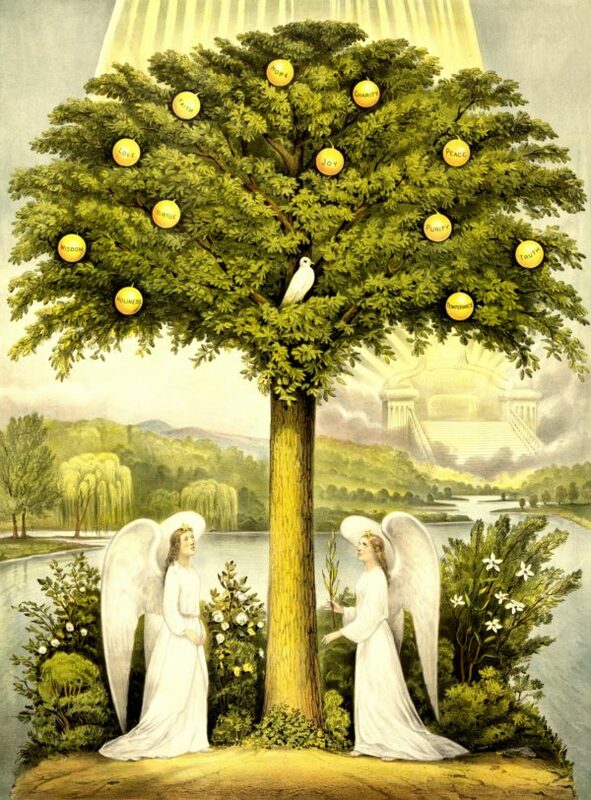 For instance, at the beginning of the Bible, in Genesis, the tree of life is in Eden, guarded by two cherubims. Separated from the tree, Adam and Eve found themselves subject to physical and spiritual death. At the very end of the Bible, in Revelation, the same tree is mentioned again: “To him who overcomes, I will give the right to eat from the tree of life, which is in the paradise of God”. 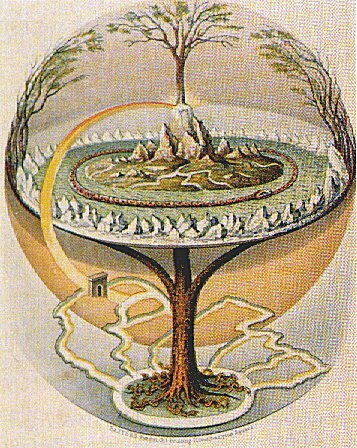 An 1847 depiction of the Norse Yggdrasil – the tree of life. Although each culture has its own elaborate story surrounding their version of the Tree of Life, the core message is the same: It is through the essence of this tree, which is rooted in the true source of life, that one can truly flourish. Today, most of us are completely disconnected from that tree. And those in power are doing their best to push us as far away from it as possible. Through a debasing and abhorrent agenda, they seek to disconnect us from the core of that tree and its wise, life-giving essence. They want us to be like dried up leaves, detached from the tree, and floating aimlessly at the mercy of the winds they choose to blow at us. 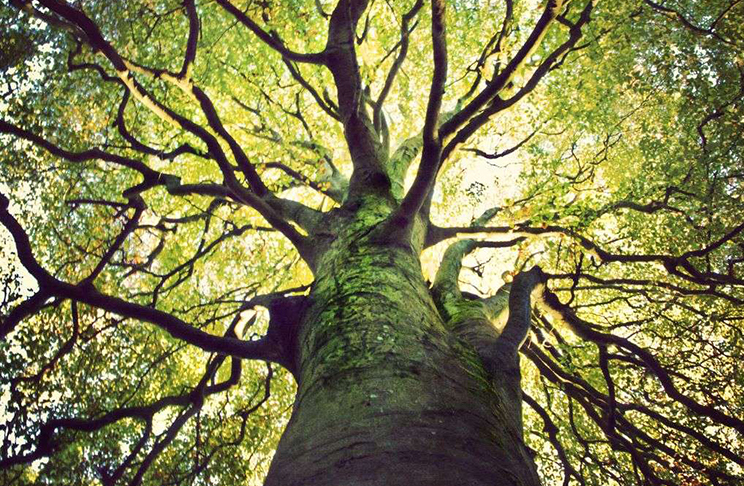 Instead, like a tree, we must be firmly rooted in grounds made of strong values, solid knowledge, and patient wisdom. Like a tree, we must reach for the heavens and allow our fruits to be ripened by the sun. While the spiritual meaning of the Tree of Life is something that few of us can fully grasp, all of us can take simple steps in the right direction to connect with it. Disconnect from the hypnotic light of screens and the nauseating sounds of media. Reconnect with nature, with the elements, and with life on earth. Breathe fresh air, gaze at the stars, and admire the miraculous force that animates all living things. Step back from the dizzying torment of society and resynch with the balancing rhythm of nature. Take the time to truly connect with your loved ones, with your neighbors and, of course, with yourself. Because, although being aware of the evils of this world is all-important, we must not allow ourselves to be consumed by it. We must use this knowledge to identify what is toxic, not to obsess over it, but to clearly focus on what is healthy. Although we all want to change the world for the better, the true challenge of our lives is to change ourselves for the better. And this is what being a Vigilant Citizen is all about. Thank you for reading my articles, for sharing them throughout the web, and for contributing your own thoughts through comments and messages. Today, more than ever, we need independent thinkers that rely on a solid moral compass – not a predetermined agenda – to understand the world, to speak up, and to fight for what is right. Our work is far from done. See you in 2018!